The spirited, romantic and beloved musical story of Maria and the von Trapp Family will once again thrill audiences with its Tony®, Grammy® and Academy Award® winning Best Score! 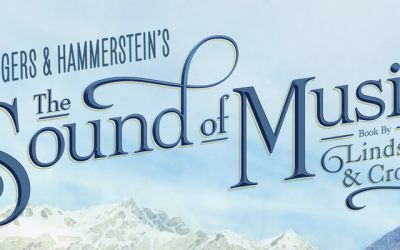 THE SOUND OF MUSIC features music by Richard Rodgers, lyrics by Oscar Hammerstein II, book by Howard Lindsay and Russel Crouse, suggested by “The Trapp Family Singers” by Maria Augusta Trapp. Winner of five Tony Awards®, THE SOUND OF MUSIC is Rodgers and Hammerstein’s most iconic show of all time. See this brand new production! Tuesday, January 29, 2019: 7:30 p.m.
Wednesday, January 30, 2019: 7:30 p.m.